I’m already a big fan of the Urban Decay Naked palettes so when I spied the Urban Decay Naked On The Run palette on Instagram I knew right away that it’d be the perfect little kit for doing my makeup on the go. With this palette all I need to do is grab some concealer, a little foundation or tinted moisturiser & of course some liquid eyeliner & I have everything I could need for a variety of makeup looks on the go. I think this set is perfect for when you’re travelling or even heading home for Christmas. I used it at work the other day when getting ready for the work Christmas party, it looked like a scene from a Boots ad with everyone getting ready in the Ladies & when people spied my Naked On The Run palette they were ooohing and aaahing over it! The Naked On The Run palette is about the size of a CD case but is fairly deep. The palette contains five new eyeshadow shades, two matte ones; Fix and Dare and three more shimmery satin shades; Dive, Resist & Stun. There is also a highlighter; 5050 which can also be used as an all-over shade. Dive is a pinky toned shimmer & is great for adding a little shimmer in the inner corner. Resist is a gorgeous Taupe & you all know I love a good Taupe shade. Stun is a dark satin shimmer & I use this for creating a smokey eye for an evening look. 5050 is an all over highlighter and I like to use it under the brow arch & I also dab a little onto my cheeks to highlight. I love all the eyeshadows, they’re perfect for everyday wear for work or the evening and I know I’ll use everyone of them which isn’t often the case with palettes. I’m really liking the eye pencil in the shade Stag which is a very flattering brown/black and isn’t really something I’ve seen before. The palette also contains a travel size Perversion Mascara which has a full size brush & a full size Naked Lipgloss in a new shade; Sesso. I’m already a fan of the Perversion mascara as it’s great for building up lash volume and Urban Decay makeup artist told me that Kim Kardashian is rumoured to have worn it during her wedding to Kanye! 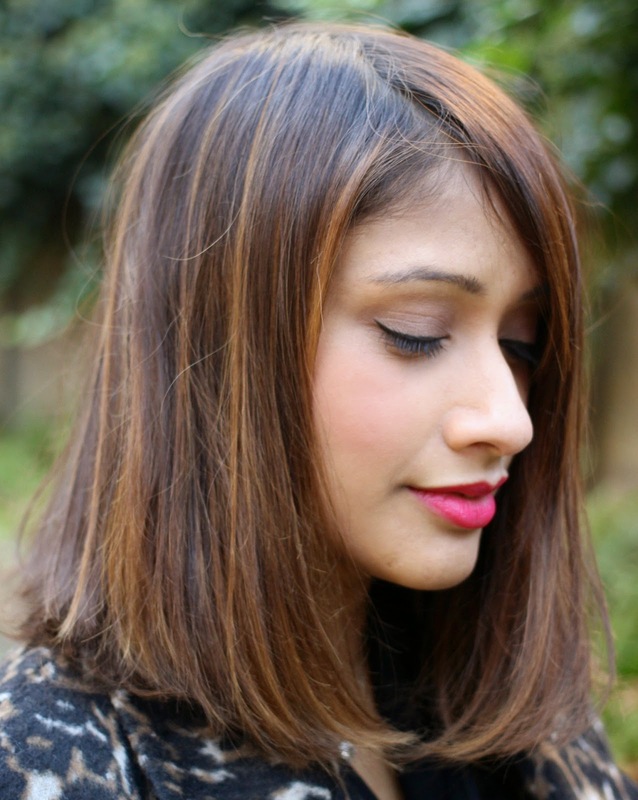 The Sesso lipgloss which I’m wearing in the above photo is great as an everyday neutral gloss. I really like the formula as it’s not too sticky and my hair doesn’t get stuck in it, two very important factors for me, when it comes to lipgloss. The Naked On The Run palette contains a bronzer & blush which is super handy. I use the bronzer as an all over face powder as it works well with my skin tone & I can then layer it on the cheekbones for a more sculpted look. I really like the blush as it gives a beautiful natural look & again you can layer away depending on the look you want and it’s suitable for a range of skin tones. The palette doesn’t contain any brushes so you’ll have to remember to bring some along when on the go, but I don’t mind that as I much prefer to use my proper brushes than the flimsy ones you can sometimes get in palette sets. I was even really impressed with this palette when I dropped it on the floor the day I got it (that bit wasn’t very impressive) and it was all in tact when I opened it…..phew! The Naked On The Run palette is £37 and you can pick one from Urban Decay, Debenhams and House of Fraser. It’d be a great item to put on your Christmas list or a lovely gift purchase. I would definitely recommend this palette. I know for some it’s a little on the pricey side but I do think it’s excellent value for the amount of products you get and it’s great to have everything in one place. 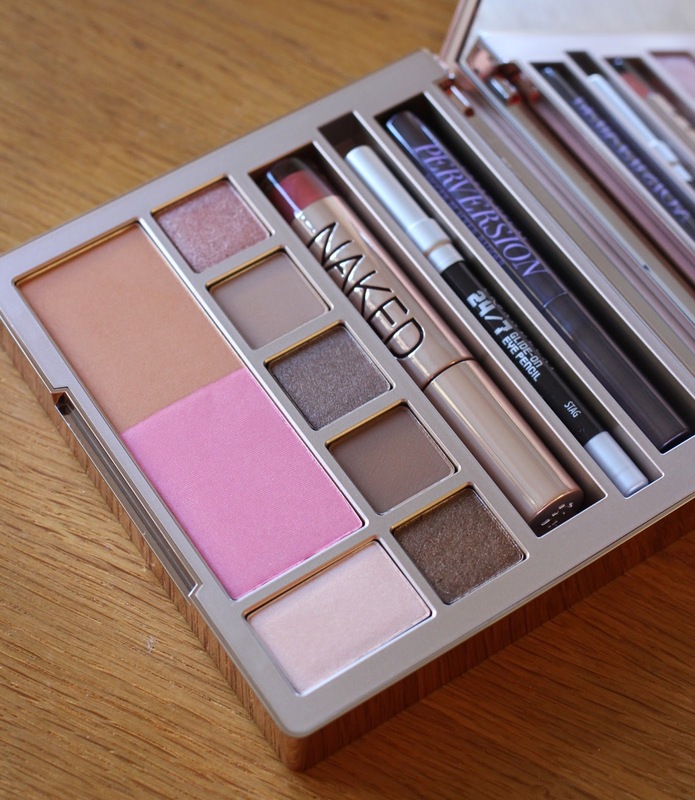 Have you tried the Urban Decay Naked On The Run palette?